Q+A | Thoughts on innovation and leadership from the region's top disruptive companies and organizations. 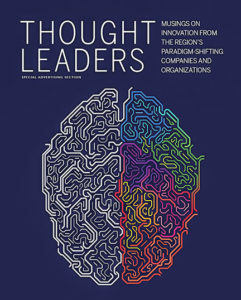 Click the image to read THOUGHT LEADERS on Issuu. Innovation is the action of changing or transforming a method, idea, product, or process to solve a problem and/or create value that satisfies the needs of customers. It’s something that Goldman Sachs 10,000 Small Businesses alumni understand is necessary for growth. Tell us about your company’s products or services. 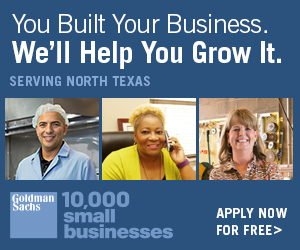 Goldman Sachs 10,000 Small Businesses is a business education program for small businesses that links learning to action. 10,000 Small Businesses (10KSB) is an investment funded by Goldman Sachs and the Goldman Sachs Foundation to help entrepreneurs create jobs and economic opportunity by providing greater access to education, capital and business support services. Through the program, small business owners will gain practical skills that can immediately be put into action like how to understand financial statements, negotiate successfully, strategically sell, how to hire and retain top talent, identify and evaluate innovation opportunities, and create and execute customized growth plans. Our major differentiator is the practicality of linking learning to action. Small Businesses who go through the program receive the tools, and professional and peer support they need to develop a strategic and customized business growth plan that when executed will take their company to the next level. 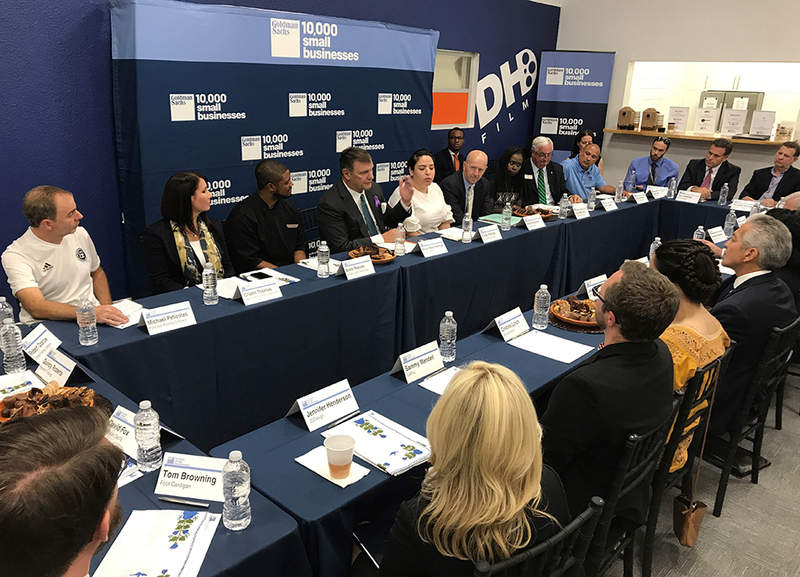 In addition, the 10,000 Small Businesses program shows small business owners how to become more bankable and position themselves to access small business funding and capital as needed for innovation and growth. How does your company leadership grow, enhance, or support the industry in which it serves? Six months after completing the program, 10,000 Small Businesses graduates are increasing revenues and creating new jobs. Nationally the 10KSB average revenue increase is 35%, at 18 months the average revenue growth is 61% and by 30 months revenue has increased 98%. Job growth rates are also significant for 10,000 Small Businesses alumni. Nationally, six months after program completion the average job growth is 29%, at 18 months the average job growth reached 48% and by 30 months the number is 62%. Last year, we brought you the first-ever Dallas Innovates magazine. This year, our second annual print publication explores the region as a rising tech superpower and a global hub of innovation. There's an underlying connectedness between people and companies that transcends our geography, says Tech Titans' Bill Sproull. Collisions between industries, startups, universities, and civic leaders start a chain of events that we can predict only to a certain point. And that unknown is exciting.